This versatile mirror has a brass frame, adding a subtle finish and depth. 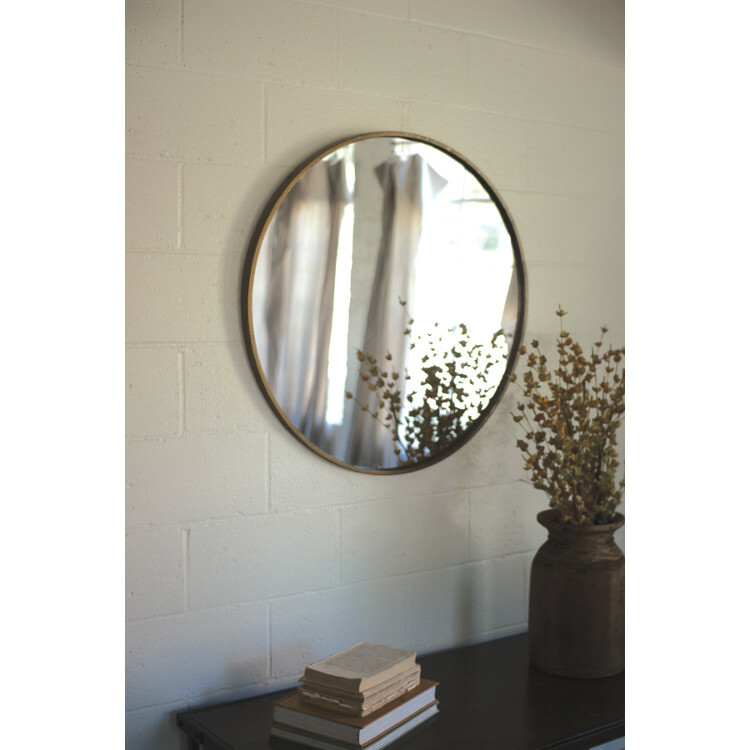 The simple minimalist design allows this round, rustic mirror to go in any room. Mirror is 33 inches in diameter.